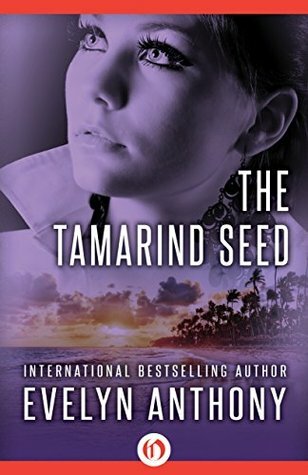 The Tamarind Seed by international bestselling author Evelyn Anthony was made into a 1974 movie starring Julie Andrews, and is now finally hitting the e-shelves as an ebook. In this suspenseful thriller of Cold War espionage, UN assistant Judith Farrow becomes embroiled in an international plot when she’s just trying to take some time off in Barbados. He had sent his secretary off duty; she was a conscientious girl, who loved her work and never minded staying after hours. He had often described her as invaluable, but that evening her eagerness to stay late and help him was a maddening attribute. There had been a little battle between them, which left him victorious and alone in his office. He waited for a few minutes till he was sure she had gone. Then he went and turned the key in his door. It was dark and the windows were spattered with snow; he pulled the curtains and switched on the desk lamp. There were papers on his desk; it was their untidy presence that had worried his secretary, who felt it was beneath his dignity to wander through the building and return them to filing. These were of no interest to him. He pushed them aside, and unlocked the centre drawer of his desk, using a key that hung on a chain attached to his waistcoat. It was the only key to that particular drawer. He took out a file, with a red sticker across the top left-hand corner. He placed it directly under the desk lamp, and then, page by page, he began to photograph the contents, using an object that was in fact a miniature camera. At one moment he had stopped, frozen to immobility by the sound of someone walking down the corridor past his office. His eyes were fixed on the door handle. He had a moment of crazy panic, common to the fright experienced in a nightmare, that he might have broken the habit of years and forgotten to lock the door. If the footsteps stopped, if there was a knock on the door and then it opened … But nobody knocked, nobody turned the knob. The feet went past and the sound of them grew muffled, until he knew that what he was hearing was the bounding of his own excited heart. Within five minutes he finished taking the pictures, rearranged the papers, closed the file; only then did he permit himself to go to the door and make sure that disaster could not have overtaken him. He tried it, and he smiled. It was secure. He had not forgotten. When he left his office, the desk was clear, the middle drawer locked, the unimportant documents returned to their place in the filing room, and the file with the top security red sticker lodged in the safe on the floor below. The pilot sounded bored; a small child in the rear of the tourist class stopped crying for the first time in two hours. Judith knew because she had timed it by her watch; the irritable weeping rose in pitch and then just as abruptly stopped, as if the disorientated baby understood that the journey was at an end. It couldn’t have felt less enthusiastic than Judith Farrow. The other passengers were leaning towards the windows, craning to see the island in its cushion of bright blue sea. She glanced across her neighbour and saw the small landmass, incredibly green in what must be burning sunshine. In spite of herself, a little interest, even a suggestion of excitement, stirred at the sight. It was said to be very beautiful. Very peaceful, remote from the hustle of the larger Caribbean islands, a sleepy paradise, where someone like herself could re-assess the chaos of her life and try to create some kind of order. At twenty-eight her pattern of living had disintegrated into a sordid undignified mess. Take a holiday; that was the advice given by her boss Sam Nielson. Get right away from UNO, New York, your friends, the whole background. He was a kind man and they had a pleasant relationship in which he was able to indulge a harmless paternalism towards a woman only a little older than his own daughter, Nancy, with whom Judith shared a flat. Nancy, tough, determined, as unemotional about her numerous love affairs as any male sophisticate, had suggested the same remedy. Flight. And without wanting to or really caring, Judith did as they advised. They assured her she would feel better after the first few days. She would begin to see it in proportion. She saw the island slip from view behind the aircraft’s wing as it banked before the final descent to land. Like hell she would feel better. Like hell a holiday restored lost faith, illusions, self respect. And yet the Nielsons might be right; when real tragedy struck her four years earlier, she had pulled up all her roots from England and gone to a new life in the United States. The death of her husband had been a tragedy in the accepted sense of the word; certainly in the conventional sense. The loss of the man she loved and had been living with for six months was only a trifle by comparison. Her affair with Richard Paterson didn’t deserve more than fourteen days’ healing time. The island was ablaze with flowers. Hibiscus, pink and white oleanders, the glorious purple bougainvillaeas rioted over walls and rooftops, and most beautiful of all, the scarlet poinsettias, usually seen as a spindly plant in a florist’s at Christmas time, flared in a great bushes, hedging the roads with banks of blazing colour. The taxi driver talked throughout the journey, but with an accent so thick it made him unintelligible. Judith couldn’t understand more than a few words. And then the sea was visible; sapphire blue with snow-white running surf. Palm trees soared into the sky. The hotel was another surprise. It was a series of small cottage bungalows, surrounded by the rich tropical gardens she had seen everywhere during the drive from the airport. An aquamarine swimming pool shimmered in the centre of a paved patio, banked by brilliant flowers; small tables clustered round it topped by striped umbrellas, blooming like crazy mushrooms, and a coal-black barman stood behind the bar, rattling a shaker as if he were playing the maraccas. She registered; now she was feeling very hot. Her clothes were sticking to her, and when she saw herself in the glass across the reception desk, she realised with surprise that the pale, exhausted face, framed in lank brown hair, was how she really looked. She looked round the little bungalow; it was bright, with white walls and brilliant chintzes, a balcony overlooking the beach, and a bedroom with an air conditioner. She was pleased to find a tiny kitchen, completely equipped. She went into the bathroom, stripped and got under the shower, letting the water soak her head and body. Her skin was unattractively white, compared with the brown figures she had seen lying round the pool. The water beat against her, battered her face and poured in a torrent between her breasts. The sense of nakedness brought unwelcome memories back. She wrenched the tap to ‘off’ and wrapped herself in a towel. Making love to Richard Paterson was the last thing she could afford to remember. She dried, and wandered into the bedroom. The sun was going down, and the sky had a deep, grey line coming up as if someone were slowly pulling a blind from below. It would soon be dark. She felt so tired that she dropped back on the bed; remembering the wet towel, she threw it off, and covered herself with the sheet. Later, she could ring down and have something sent up, a sandwich, some coffee. She was still deciding what to order when she fell asleep. When she woke, it was pitch dark, and the luminous hands on her watch said 2 a.m. There was a man in the adjoining bungalow, but he had not been sleeping. He saw the light flash on from the dark windows on his right, and stay on, making a yellow beacon in the night. He had given up trying to read, long after he had abandoned the attempt to sleep, and gone out to sit on his balcony and smoke. It was noisy outside; the sea pounded on the beach only twenty yards away, and a small, persistent noise shrilled from the trees growing along the sandy shore line. It sounded like a kind of bird. He identified the crickets, with their tiny chirping roar, and the prosaic hum of outside air conditioners. It was the second night he hadn’t been able to sleep. Sleep always eluded the pursuer. All his life he had suffered from periods of insomnia; without warning, and unassociated with stress, he would find it impossible to sleep for several days. Just as abruptly the cycle would break. He had learned to accept these occurrences without recourse to drugs. He had never been to the West Indies before; it amused him to choose what was described as a capitalist playground, sustained by the sweat of the black proletariat, because he had an ironic twist of mind. It was a choice which was certain to offend others, only too eager to criticise. He had always thrown bones of contention to his enemies, and walked away while they fought over them. He sat in the darkness, smoking and waiting, staring upwards at the glittering fragmentation of stars in the sky. Men had travelled through the infinite space and proved it finite; they had hurtled past the stars and found them empty, ugly. The enormous white moon had been violated by the spaceman’s boot. He thought that it would never be the same again. Nothing remained immutable in that old phrase applied to the stars. Everything changed; the wise welcomed it and stuck out to swim with the stream. Others resisted, damming progress with human bodies. It was no less true, because it was so bitterly ironic, that the children of revolutionary change, became the stiffest of reactionaries. Backwards. That was where the current was turning, and he felt it taking this direction, well below the surface, but with increasing force. He could have taken a woman with him; he hadn’t wanted one. At thirty-nine his body was as tired as his sleep-starved brain. He could have women whenever he wanted them. Too easily, meaning nothing. The bungalow adjoining his was empty; he hadn’t realised until the lights went on that there was someone in it. He heard noises; he had well tuned ears. They picked up the sound of someone moving round inside, a door opened and shut. Light broke out, turning the balcony yellow. The doors slid back and a woman walked through and towards the rail, where she leaned for a moment, looking out over the black sea where the broad, rippled track of moonlight narrowed into the horizon. The figure was straight, with young lines; long hair hung down to the shoulders. He couldn’t see her face. He stayed still in the darkness, watching, keeping the red glow of his cigarette hidden at his side. She turned, still with her back to him, and went inside. He was sorry. It made his insomnia less lonely knowing that at that hour someone was awake and near. Then he heard the door of her bungalow shut, and thought in surprise that she had gone outside. Minutes later there was a splash. Of course. She had gone to the swimming pool. Down by the patio one yellow light was burning over the shuttered bar. There was no need for it. The huge white moon hung in the sky, surrounded by stars. Looking up, Judith found every cliché speeding through her mind. The moon was like a pearl, the stars like diamonds; the palm trees waved and the crickets sang. It was all so corny and impossible until one saw the reality. Then it could never be described without using a coinage of words which had become debased. She dived into the pool, and started swimming, up and down, very lazily, her mind occupied with playing the game of metaphors, trying to think of ways to describe the night. ‘Evenin’. Lovely evenin’.’ It was the same odd accent, less exaggerated than the taxi driver’s speech, but unmistakable. She turned and saw a man standing by the pool’s edge. He wore a cloth cap, which he took off. ‘Yes, Mam,’ the man said. ‘Right warm it is.’ He put his cap on again, saluted her with a torch and moved away. Judith went on swimming. The man had come quietly round the edge of the building, where he could see the figure slipping through the lighted water, without being seen. He stood and watched her, until she climbed out, and then he got a look at her under the yellow light, as she dried her legs and rubbed her body with a towel. She was young. She had a pretty face. He went back and let himself into his bungalow before she came up the path. He had a bottle of whisky in his sitting room. That was one American habit he had picked up. He drank Scotch in preference to vodka. Some people would have said that was when the rot had started. He smiled to himself, filled a glass half full and went back to his balcony. The light next door went out. Excerpt was provided by Open Road Media. I think I could probably read and enjoy this one Donna. Thanks for sharing with us this week. Wow, I remember the movie, but now I definitely want to read this one. Thanks for sharing...and for visiting my blog. What a tense moment! I would definitely continue reading this one. I enjoy books like this but don't read them often enough. It didn't really grab me--but I do remember the title from long ago. I think I saw the movie. I like the setting of the novel. I only read the prologue, but there seems to be a lot of mystery. The book and movie are new to me. Now I'm curious. I've heard of the movie but never seen it. The novel looks intriguing. I'd keep reading!